Brandon Mavuta. Photo: Gallo Images. A trio of players show in Bangladesh why they could be steals in the upcoming Mzansi Super League. Looking for a bargain buy in a T20 tournament? It’s a thought that will please two franchises in the upcoming Mzansi Super League, the Durban Heat and Tshwane Spartans. ALSO READ: ‘Ecstatic’ Zimbabwe claim first away Test win in 17 years! Both invested in players across the northern border, with promising young leg-spinner Brandon Mavuta going to Kingsmead and two established stars, Sean Williams and Sikandar Raza, headed for Centurion. Williams and Raza both average over 33 in ODIs and maintain handy strike rates too. They played starring roles during the Test in Sylhet, Williams making 88 in the first innings and Raza contributing six wickets with his off-spinners. Yet the biggest jewel could turn out to be Mavuta, who took 4/21 in the second innings of his Test debut. “Their availability did make it pretty easy to pick them,” said Spartans coach Mark Boucher. “But one also has to acknowledge that their very good cricketers. Sean performed very nicely against the Proteas few weeks back and impressed in the T20 games specifically. 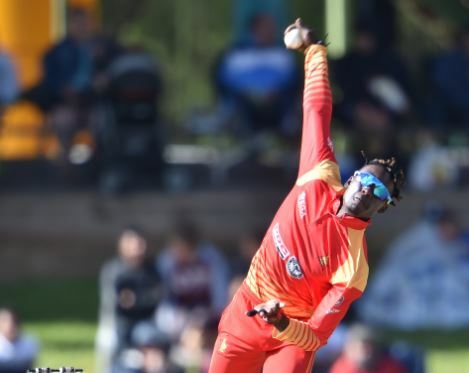 Boucher admitted that Raza, born in Sialkot, Pakistan, is a bit of an unknown quantity for him, but was drafted due to a glowing recommendation from a very big name – AB de Villiers. “AB played against him in the Caribbean Premier League and was very impressed,” said the former Proteas wicketkeeper. “He hits it hard at the top of the order and bowls off-spinners very competently.